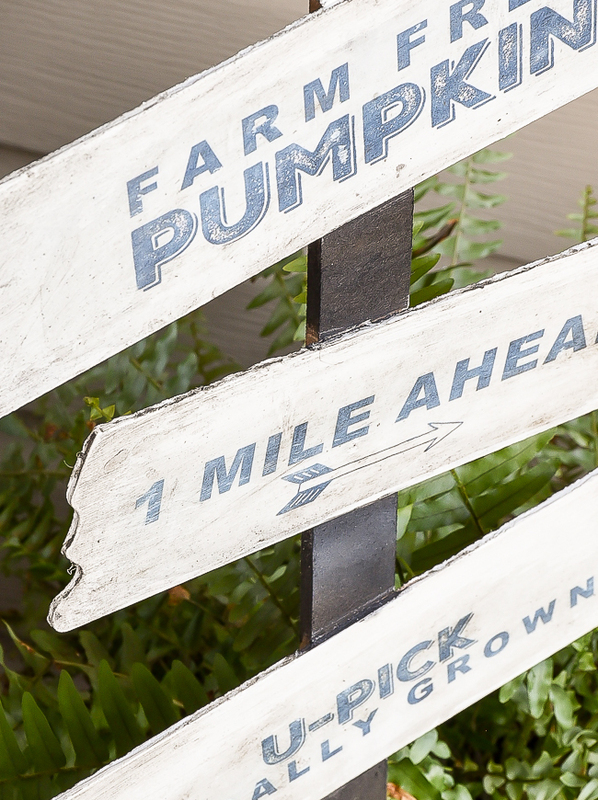 A colorful Dollar Tree pumpkin patch sign gets a farmhouse inspired makeover perfect for fall! Happy September and happy Dollar Store DIY day! 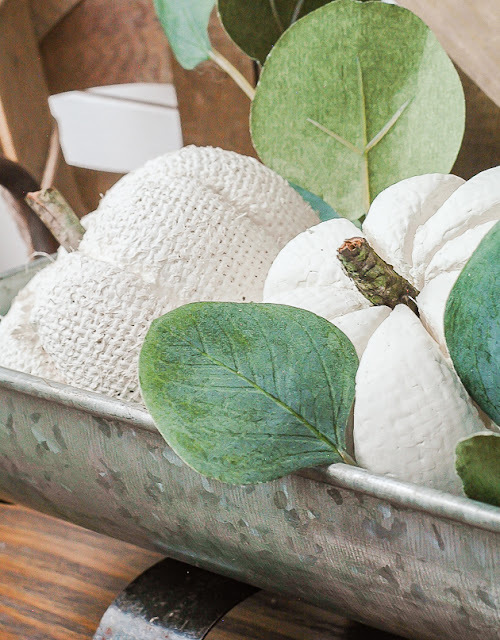 For those of you that may be new to my blog, on the first Monday of every month I share a Dollar Tree makeover. 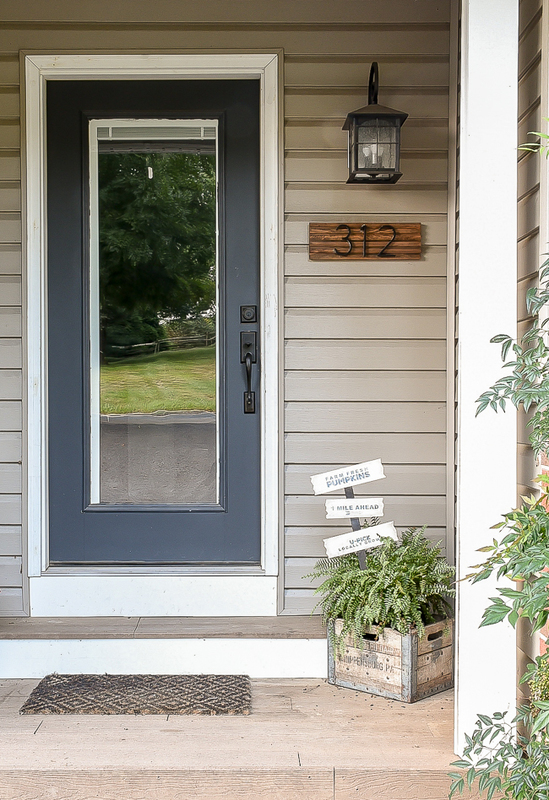 I try to keep the brightly colored, cutesy crafts to a minimum and instead opt to create industrial, modern farmhouse inspired decor. 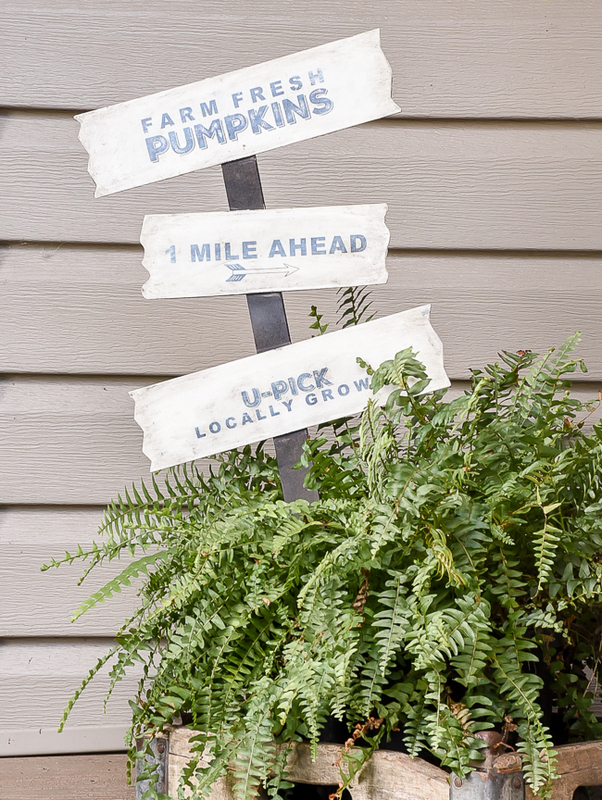 This month, I'm welcoming September with an easy fall project using a Dollar Tree pumpkin patch yard sign. 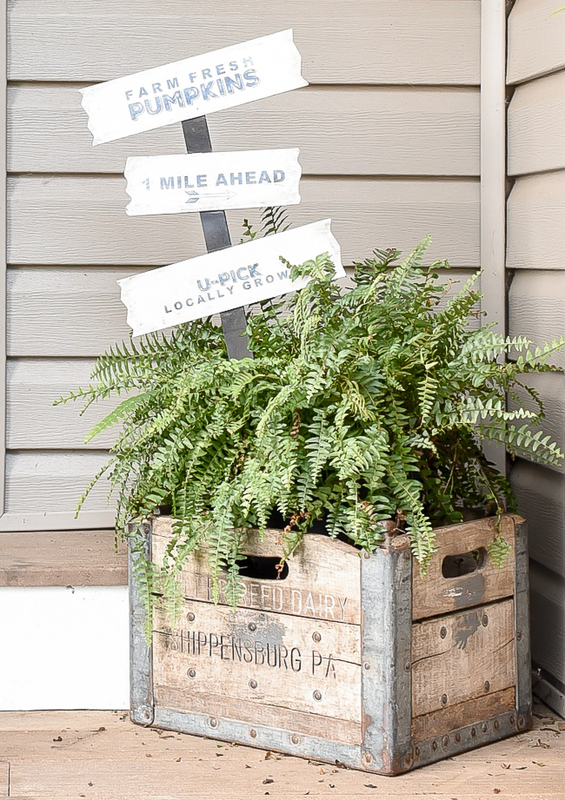 I created a simple printable and gave it a farmhouse inspired makeover that's much more my style. 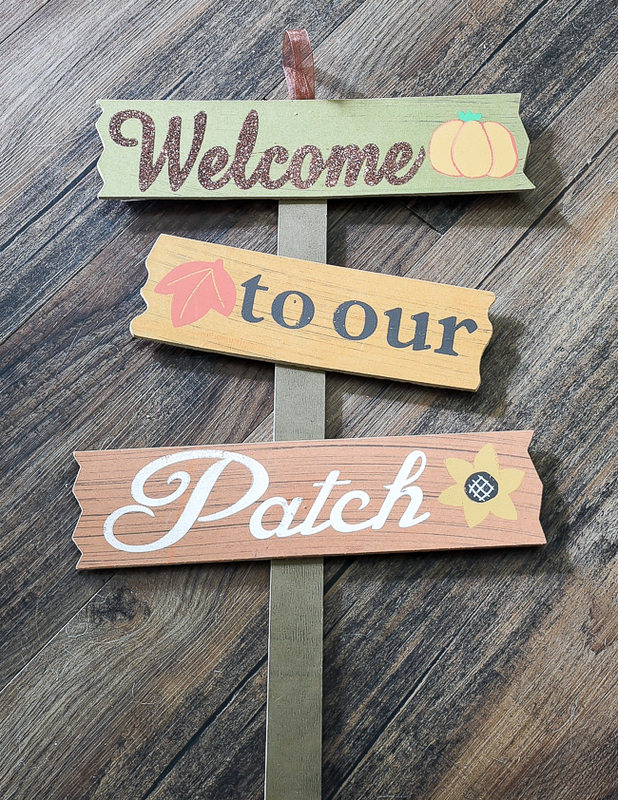 I started with this $1 particle board "Welcome to our Patch" sign from Dollar Tree. There was absolutely nothing wrong with the sign as is, but it just wasn't my style. 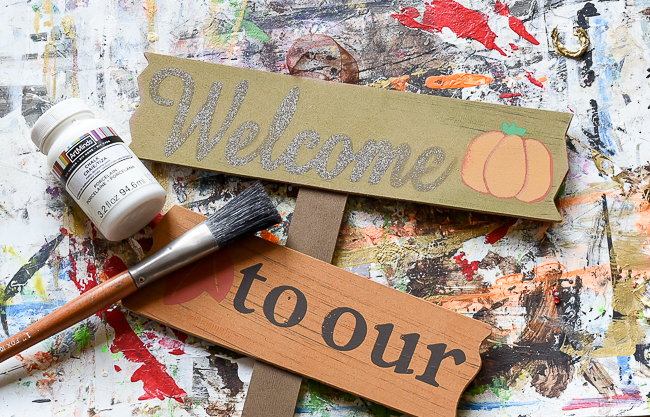 The "welcome" was covered in glitter, so I hit it with my Ryobi Corner Cat sander to knock off the glitter and create a smooth surface. 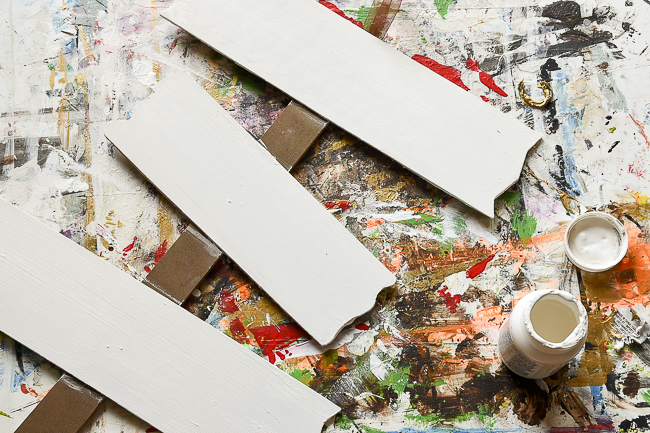 If you don't have a sander you can always use regular sandpaper. 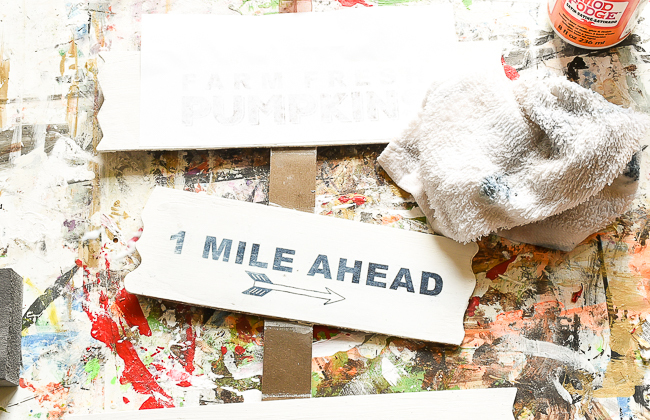 After sanding, I covered the front of the sign with 2 coats of white chalk paint. I let the paint dry then gave it a quick sanding before applying the printable. 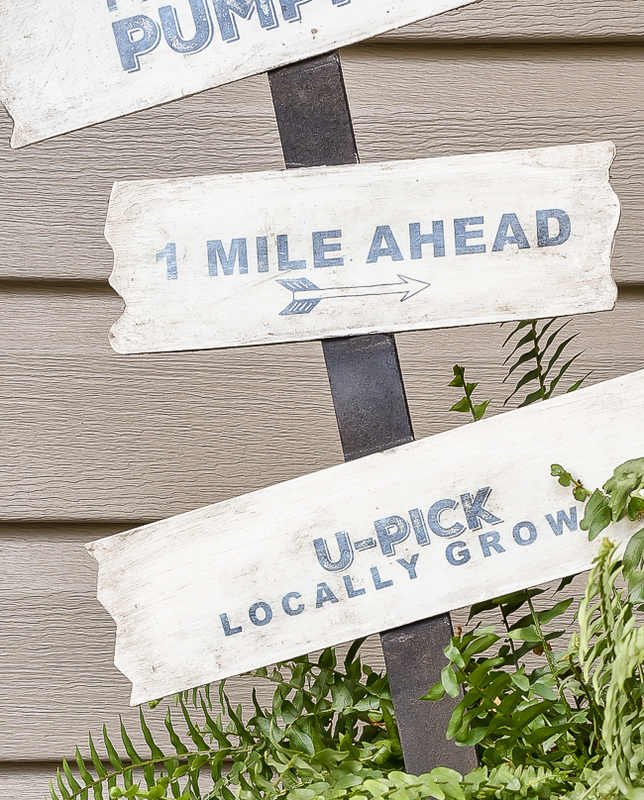 If you want to create the same sign, I am offering the printable free to subscribers. If you are already a subscriber there is no need to do anything, your printable is included at the bottom of today's e-mail. If you are not a subscriber, you can subscribe by clicking HERE to get access to all past and present printables. 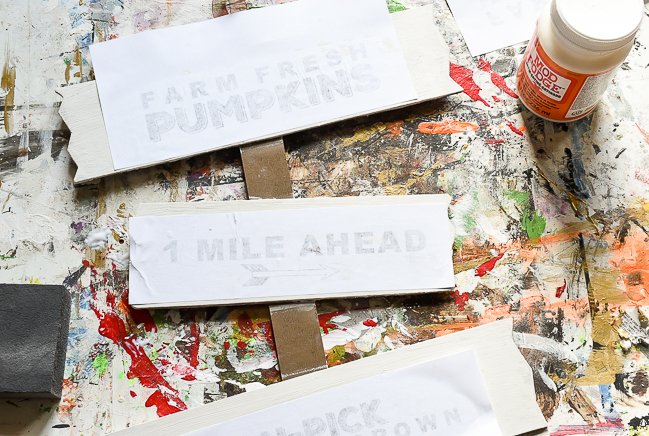 After printing out the image (it's already reversed), I cut out the phrases for each section of the sign, applied a layer of Mod Podge to the wood then laid down and smoothed out the letters. It's best to let the Mod Podge dry overnight before removing the paper, but I'm impatient and just let mine sit out in the sun a few hours. I used a damp rag to saturate the paper, peeled it off then used the same rag to gently rub off the rest of the paper. I knew I wanted an aged look, so I grabbed some wax and my favorite aging dust. I used a wax brush to apply wax all over the sign then added aging dust around the edges and lightly over the entire sign. 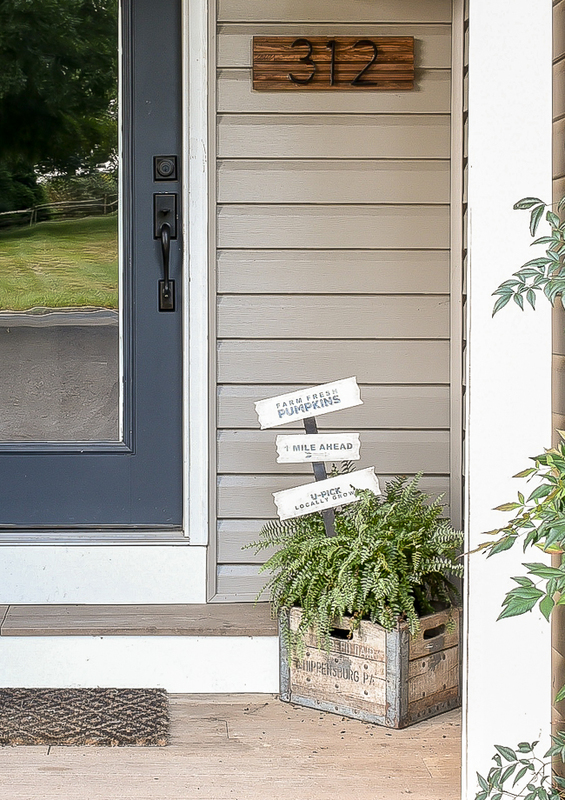 I finished off the sign with a light coat of General Finishes black gel stain on the post. If you don't have black gel stain available you can also use black paint or stain of your choice. 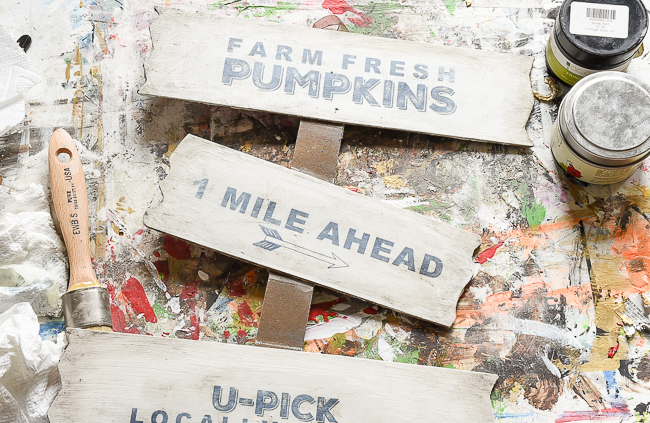 I just love the neutral and distressed look of the new pumpkin patch sign. 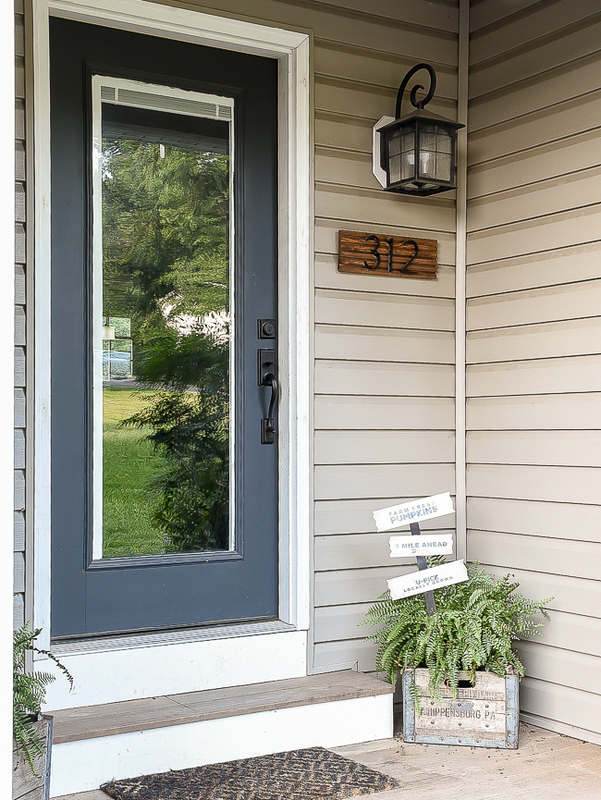 It's much more my style and fits in nicely with my neutral front porch. It's still 90+ degrees and incredibly humid here in Maryland, so no pumpkins for the front porch just yet, but the sign adds the perfect touch of fall for September. I click on the link to print it, and it says I am already subscribed. Help! I am sure I am missing something but I don't see a link that says printables. I am also a subscriber. Thanks for the great projects you do. I am always looking forward to your next project. This is darling ~ so clever and inexpensive. 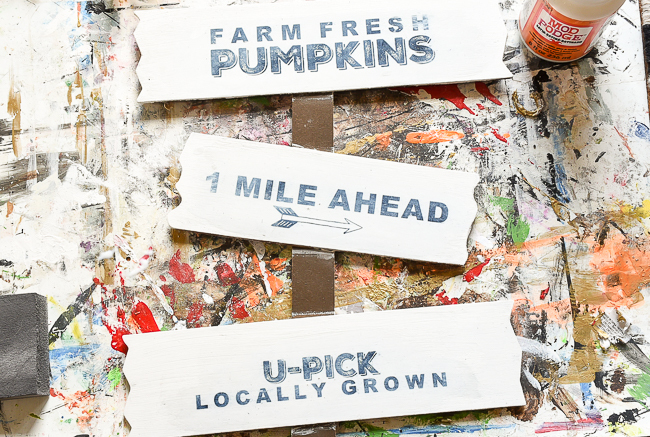 I'm heading over to the Dollar Store right now to pick up three of these signs: I'm going to do this same project and then one with a Thanksgiving theme and the other with a Christmas theme [Santa Stop Here, etc.]. 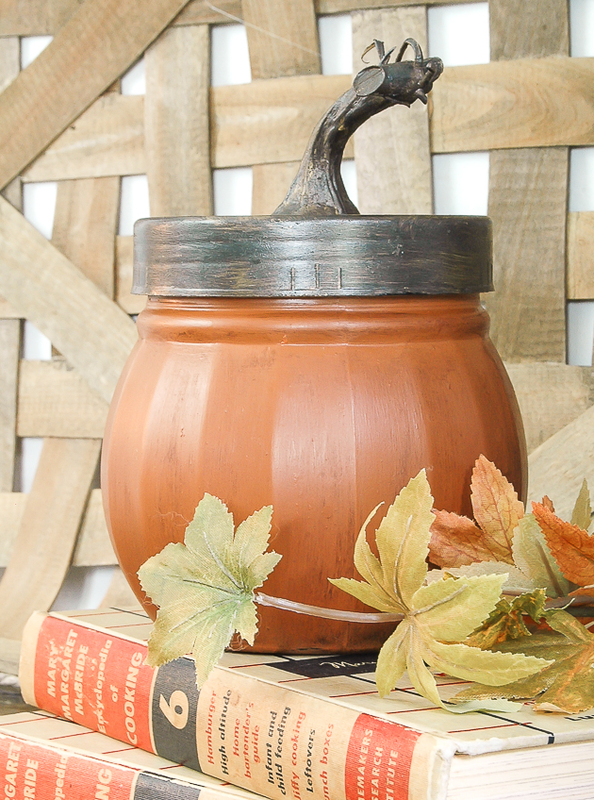 Your blog is the best ~ darling, inexpensive inspirational projects that ALWAYS turn out looking top-dollar. Thank You! !